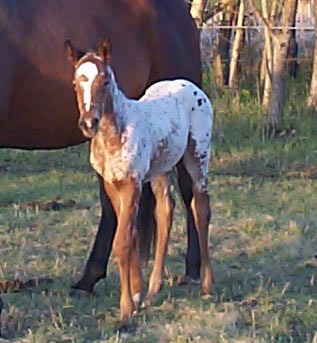 We lost this filly to a pasture accident, before she ever got to come home. We were purchasing her from a farm in Canada, and were waiting on her to get old enough to wean, before bringing her home to the U.S.
"Some horses come into our lives and quickly go. Others stay a while, make footprints on our hearts and we are never, never the same."